Sign an Everlast Siding Contract with us by April 15th, 2013 and will give you $1000 off. TERMS AND CONDITIONS: Contract must exceed 10sq. Contract must be signed prior to April 15th. 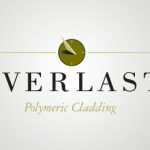 Remodeling Dreams Construction will not sell product only, and is a certified and approved installer for the Everlast Product.